The raintight NEMA3R PBN20 non-metallic power inlet box is designed to provide a plug-in location for cords running from your portable generator. It should be installed outdoors in an open area where the generator is being used. This power inlet box is then wired directly to a Reliance Controls indoor transfer switch. It is designed for fast installation with features like: a) our new patented "POP-FAST" reusable knockouts (no tools required); over 100 square inches of internal wiring space and slide-out base which makes wire connections easy. Bottom entry power cord inlet and flip-lid inlet cover to seal against insects and windblown and splashed debris. Make a statement of your indoor/outdoor decor with this beautiful, Window Box in Ebony Grey. The attractive silhouette and timeless pattern allow this piece to coordinate perfectly with existing settings, whether traditional or modern. Looks stunning when set against a garden backdrop. The Yorkshire window box helps you bring home the charm of the East Coast while offering a low maintenance solution. Compliment the appearance of your home with a product that cleans up with the simple rinse of a garden hose. The Yorkshire is made from high quality vinyl providing the look of a wood window box without the maintenance. 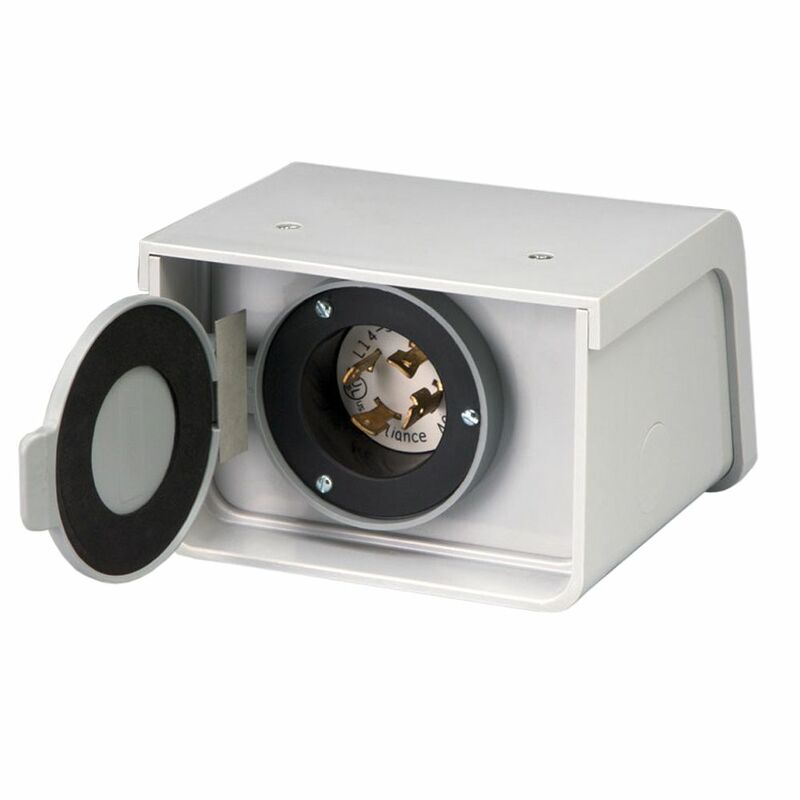 PBN20 20-Amp L14-20 Outdoor Non-Metallic Power Inlet Box The raintight NEMA3R PBN20 non-metallic power inlet box is designed to provide a plug-in location for cords running from your portable generator. It should be installed outdoors in an open area where the generator is being used. This power inlet box is then wired directly to a Reliance Controls indoor transfer switch. It is designed for fast installation with features like: a) our new patented "POP-FAST" reusable knockouts (no tools required); over 100 square inches of internal wiring space and slide-out base which makes wire connections easy. Bottom entry power cord inlet and flip-lid inlet cover to seal against insects and windblown and splashed debris.